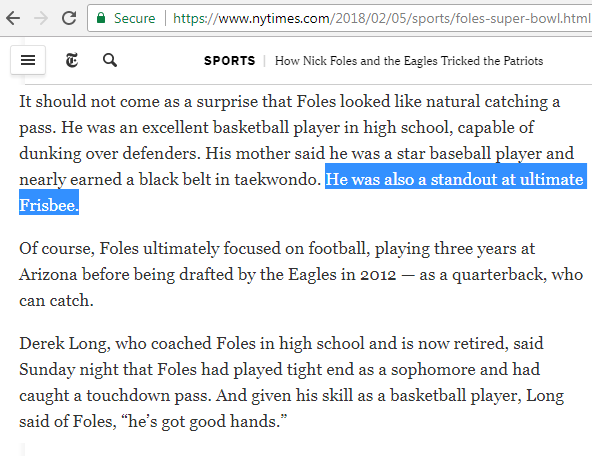 Philadelphia is at the center of the "pro" ultimate league universe. Locations per original announcement by leagues. American Ultimate Disc League announced 8 teams for AUDL's inaugural season in 2012. Major League Ultimate announced 10 teams - later reduced to 8 teams - for MLU's first season in 2013. 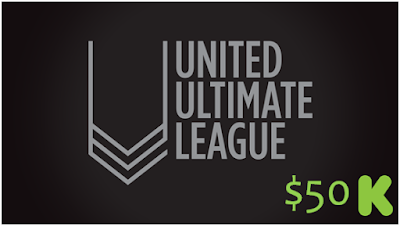 United Ultimate League announced 8 teams for UUL's prospective season in 2019. 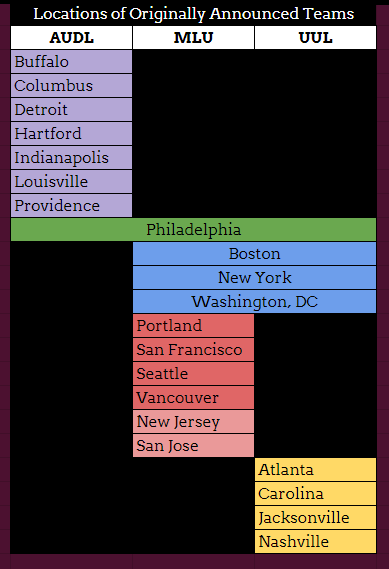 Three other cities share/d representation - Boston New York, and Washington, DC. In less than a month, the Indiana women's professional ultimate team went from being strongly affiliated with American Ultimate Disc League team, Indianapolis AlleyCats, to (as of today) breaking off their affiliation with the AlleyCats. 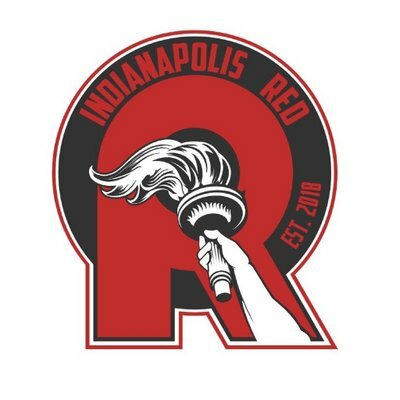 January 25, 2018: Indianapolis AlleyCats announced a women's team. 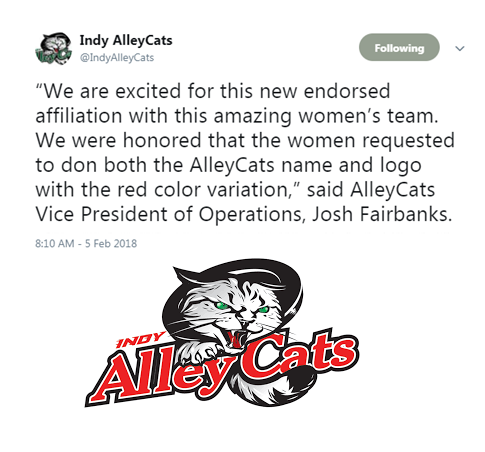 February 5, 2018: Josh Fairbanks, Indianapolis AlleyCats VP of Operations: "We are excited for this new endorsed affiliation with this amazing women's team. 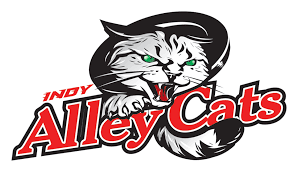 We were honored that the women requested to don both the AlleyCats name and logo with the red variation." February 10, 2018: Tryouts for AlleyCats Red were conducted indoors. February 17, 2018: A second tryout for AlleyCats Red was administered outdoors. "AlleyCats Red" changed names to Indy Red and have updated their identity. 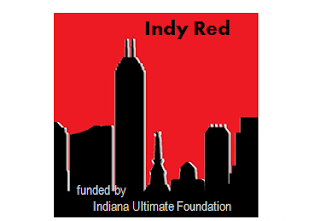 ...the Indiana Women's Professional Ultimate Team is officially separating affiliation with the Indianapolis AlleyCats. We hold strong with our mission to promote gender equity and to provide a platform for women to play at the highest level of visibility, while compensating them for their dedication, efforts, and talent...we will continue our endeavor and will fall under the moniker of Indy Red, funded by the IUF (Indiana Ultimate Foundation)...We wish the Indianapolis AlleyCats the best with their season moving forward. 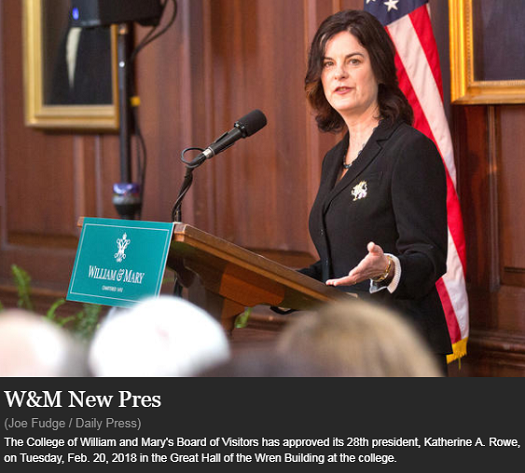 Rector Todd Stottlemyer introduced Katherine A. Rowe as The College of William & Mary's new president, during which he highlighted Rowe's ultimate history. She will be the first female president of William & Mary (Virginia) in the school's 325-year history. "Katherine also loves sports and has been a competitive athlete throughout her life. She remarked throughout the search process how sports – varsity, club and intramurals – are an important part of the university. Katherine also observed how well William & Mary does with its varsity sports in producing outstanding scholar-athletes who compete and win on the field of competition and in the classroom. On a personal level, Katherine is well known as a player and now championship coach of United States Ultimate Frisbee. 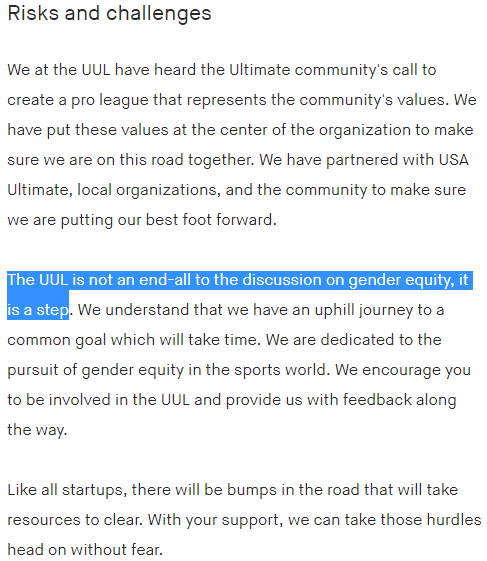 Ultimate is a self-refereed team sport governed by the "Spirit of the Game:" the joy of play and a mutual respect for fellow players. This is how Katherine leads." Rowe played ultimate a Carleton College and, more recently, coached the Lower Merion High School Girls Ultimate team to multiple state (Pennsylvania) championships. Additionally, Katherine Rowe built up her already impressive resume with a few articles published on Ultiworld. W&M's announcement describes Rowe as having..
spent more than a decade coaching Ultimate Frisbee and has led multiple teams to state championships in Pennsylvania. She was a World Ultimate Club Finalist and a Women's Nationals Finalist. She also co-founded the nonprofit Boston Ultimate Disc Alliance and the Carleton College women's Ultimate team. 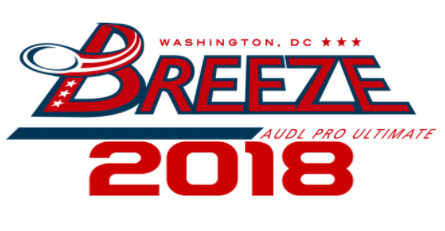 The D.C. Breeze will be hosting tryouts to roster a team their 2018 AUDL season. The Breeze look to improve upon their (10-4) record and 2nd-place finish in the East Division. Similar to 2017, the Breeze tryout for American Ultimate Disc League will include presentations. Unlike last year, the Breeze will have no (public) connection to D.C.'s men's elite club team - DC Truck Stop. Darryl Stanley returns to the Breeze sideline after a winning season in his inaugural year as head coach. According to the DC Breeze site, 2017 assistant coach Will Smolinski is not shown to be returning to the team in 2018, though will be at the 2018 tryouts. 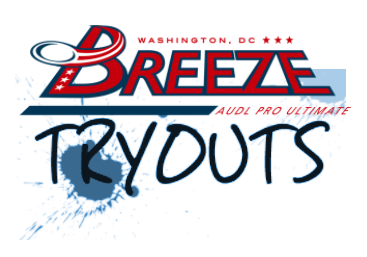 DC Breeze seek "to identify the best players among *all* those who come out, to offer them a spot on the 2018 Breeze roster." A total of 36 players can be selected to the practice and official roster while a maximum of 20 players can be named to the active gameday roster. The 14-game American Ultimate Disc League regular season 2018 schedule for Washington, D.C. Breeze was released. In 2018, DC starts the season on April 7 and ends 14 weeks later on July 14. The Breeze are scheduled to play 12 games in the AUDL East plus 2 cross-divisional games; one versus Raleigh (AUDL South) and another against Pittsburgh (AUDL Midwest). Both of the Breeze's back-to-back games are road trips to Canada -- May 19-20 and June 23-24. DC Breeze game tickets are currently available. All home games will be played at Catholic University in NE D.C. 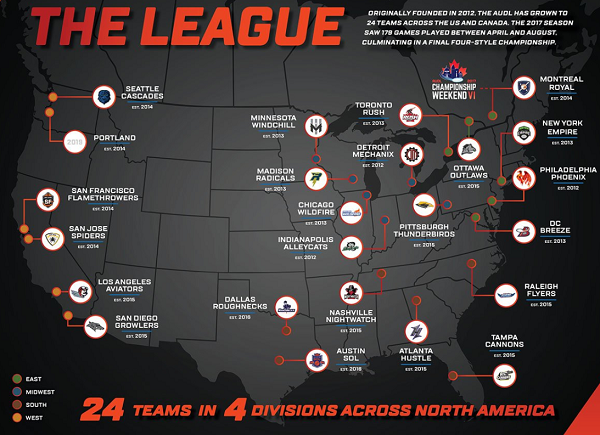 The American Ultimate Disc League updated its "The League" map and attempted to conflate its past 2017 season with 2018 updates. 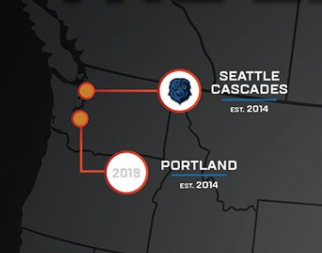 With the loss of Vancouver Riptide (and addition of Portland), the AUDL became more "American" Ultimate Disc League. The color-coordinated cleat tips and along the topline make these cleats especially sharp. The American Ultimate Disc League teased their 2018 schedule with an expanded cross-divisional matchups. 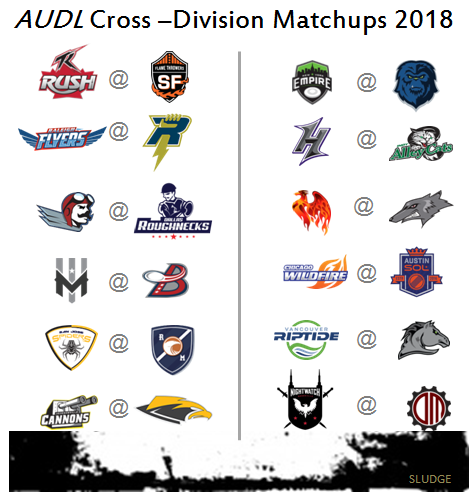 In the 2017 season, AUDL had 4 cross-divisional games in the regular season. NOTE: Vancouver is not scheduled to play in the 2018 AUDL season. 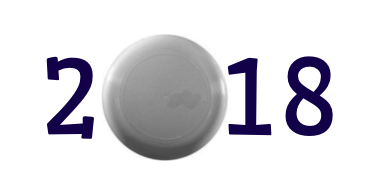 The 2018 summer is going to be busy with USA Ultimate's Triple Crown Tour-naments, the WFDF Club Championships, and the American Ultimate Disc League's final weekend. WFDF 2018 World Ultimate Club Championships (WUCC 2018) will host over 125 club teams from around the world in July. The tournament's entry fees which are required by each participating team in addition to every player would top over 1.5 million dollars. 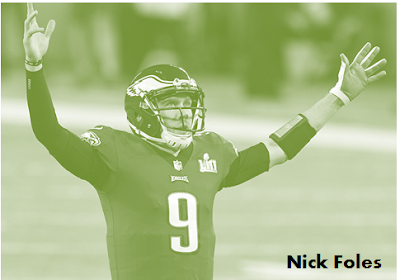 If teams were to roster the maximum number of player - 28 - and pay all fees at a discount, then each team would owe $12,000 [$1500 x 1 team = $1500 + $375 x 28 = $10,500; Total = $12,000]. 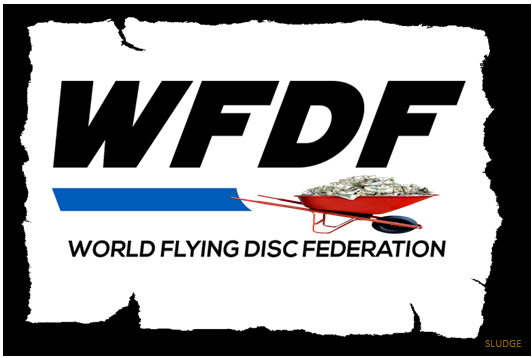 With 128 teams expected in Lebanon and Cincy, the grand total for maxed out teams including players fees would bring in a total of $1,536,000 USD revenue for this WFDF tournament. 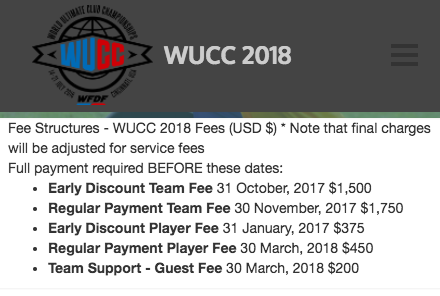 The per player cost for participating at WUCC 2018 = $428.57; ($375/player + $1500/28).